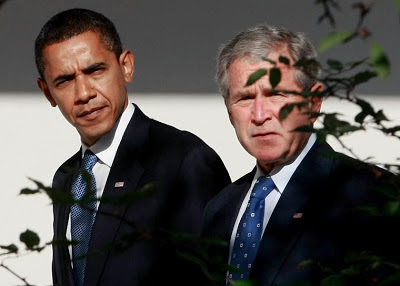 On October 12, 2002, one day after the U.S. Senate voted overwhelmingly to authorize the Bush Administration’s use of military force against Iraq, the Iraqi government sent a letter to officials overseeing the U.N. weapons inspection programs. The Iraqis reiterated their pledge to allow inspectors to operate in the country “as soon as possible,” as long as the inspectors abided by the United Nations’ own terms of agreement. The letter did not address specific demands that Iraq provide unrestricted access to weapons sites. Mohammed ElBaradei and Hans Blix, then the respective heads of the IAEA and UNMOVIC - the United Nations Monitoring, Verification and Inspection Commission - noted Iraq’s agreement to provide “immediate, unconditional and unrestricted access” to its safeguarded sites, including access to Iraqi officials and scientists. The Iraqis had also given their approval for U.N. surveillance flights over the country. Iraqi officials made it clear, however, that they could not guarantee the safety of these flyovers unless the joint US/UK administered no-fly zones over Iraq were cancelled. The United States immediately dismissed the request. “Obviously the Iraqis want to delay and deceive,” a U.S. official said. Shortly thereafter, U.S. Ambassador to the United Nations John Negroponte accused Iraq of failing to fulfilling its international "obligations," lambasted Iraq's "practice of omissions, evasions and untruths," and referred to 12,000 pages of documentation showing a lack of weapons of mass destruction as "one more act of deception in a history of lies." He condemned the Iraqi government for choosing "deception and concealment over full disclosure." When Hans Blix told reporters in early January 2003 that inspectors had been "covering the country in ever wider sweeps" for months but "haven't found any smoking guns." Undeterred, Negroponte responded, "There is still no evidence that Iraq has fundamentally changed its approach from one of deceit to a genuine attempt to be forthcoming." Fast forward to March 6, 2013. U.S. envoy to the IAEA Joseph Macmanus accused Iran of a "commitment to deception, defiance, and delay" in response to Iranian attempts to address concerns about alleged past research and willingness to provide the IAEA with access to a military facility not legally accessible to the organization. The same day, in a statement to the United Nation Security Council, U.S. Ambassador to the United Nations Susan Rice called the Iranian nuclear issue "one of gravest threats to international security" and claimed that Iran is "reject[ing] its international obligations." Rice urged the Security Council to "clarify for Iran the consequences of its actions and show Iran the benefits of choosing cooperation over provocation." The parallels to Iraq 2003 are undeniable. While the most recent round of negotiations between Iran and the P5+1 in Kazakhstan in February seemed positive, with Iranian officials calling the talks a “turning point” based on a "more realistic" approach that yielded "positive results," the honeymoon was short-lived. Almost immediately after the talks, U.S. and Israeli officials resorted to the bellicose rhetoric that had subsided substantially following Israeli Prime Minister Benjamin Netanyahu’s absurd bomb chart charade at the United Nations General Assembly last September. Unsurprisingly, Netanyahu himself led the charge, saying on February 27 that economic warfare waged against Iran had not yet produced his desired result and more explicit threats of aggression must be made. Just as confident about Iran’s supposed pursuit of atomic weapons now as he was about Iraq ten years ago, Netanyahu insisted, "I believe it is incumbent upon the international community to intensify the sanctions and clarify that if Iran continues its program, there will be military sanctions." Israeli media claimed that President Obama would use his upcoming trip to Israel to “discuss a military strike on Iran” and “will reportedly work out the details for a possible assault” with the Israeli leadership, adding that Obama will tell Netanyahu that a “window of opportunity” for an attack on Iran will open in June. In a speech before the powerful pro-Israeli lobbying group AIPAC, Vice President Joe Biden insisted that “President Obama is not bluffing” in threatening military action against Iran. Meanwhile, U.S. Senators have recently put forward a bill pledging American “diplomatic, military, and economic support” for any potential Israeli attack on Iran. The P5+1 called the recent talks with Iran "useful" and stated its commitment "to carry on a constructive diplomatic process, which will be pursued actively in the months ahead on the basis of reciprocity and step-by-step approach." However, Lindsey Graham, one of the bill's leading champions, has his own idea of what step-by-step approach should entail, explaining on March 5, “You have to build a case: First, you rule out containment, then pledge support to Israel, and if that doesn't work, tell Obama, 'Mr. President, here's authorization.'" “Lines have been drawn before and they’ve been passed,” Kerry told ABC News’ Martha Raddatz in Qatar the next day. Defense Secretary Chuck Hagel echoed these sentiments during a 2-hour meeting with his Israeli counterpart Ehud Barak. “The United States continues to believe there is still time to address this issue through diplomacy, but that window is closing,” Pentagon spokesman George Little said during a press conference. Also on Tuesday, General James Mattis, outgoing chief of U.S. Central Command, told a Senate hearing he believed the American strategy of crippling sanctions and coercive diplomacy on Iran had been ineffective, stating that “Iran remains the single-most significant regional threat to stability and prosperity.” He also condemned the Iranian government’s “reckless behavior and bellicose rhetoric,” despite the fact that only the United States and its allies - not Iran - are threatening war, and said there might still be time to bring Iran both "to its senses" and "to its knees." "I think we have to continue sanctions, but have other options ready," Mattis said, adding that a military strike was just "one of the options that I have to have prepared for the president." "I'm just paid to take a rather dim view of the Iranians, frankly," he conceded. In April , the Air Force deployed a squadron of F-22 stealth fighters to a base in the United Arab Emirates. The U.S. Navy has doubled the number of its minesweeping ships from four to eight and of its patrol boats from five to 10 in the past two years. It has deployed combat search-and-rescue helicopters, unmanned minesweeping submarines and high-tech surveillance systems. Most threatening, it dispatched to the Persian Gulf a second aircraft-carrier battle group that had been destined for the Pacific. The U.S. is also building up other forces in the region. In early 2012, it expanded a military base in Kuwait, stationing two Army infantry brigades, or 15,000 troops, there. That is still a token force, but the U.S. is pre-positioning covert and special-operations capabilities and beefing up facility defenses. It has been operating a drone base out of Saudi Arabia. In July 2012, it deployed the U.S.S. Ponce, a converted transport ship that can serve as a floating special-operations base, complete with helicopter pads and several hundred bunk beds. It has delivered long-range X-band missile-defense radars to Israel and Turkey and has reached an agreement with Qatar to deploy a system there too. The U.S. has reportedly asked the U.K. for access to bases on Cyprus, Diego Garcia and Ascension Island for use in an attack on Iran. In late October 2002, after a similarly massive build-up of American troops, warships and weaponry in the region, U.S. Army Secretary Thomas E. White declared, "The Army's ready. That's our job, to be ready. And the Army's ready." With the tenth anniversary of the U.S.-led invasion of Iraq looming, a wealth of reflective analyses has emerged about the wisdom (or sheer madness and criminality) of that tragic act, sold to the American public through the constant repetition of lies and fear mongering. For nearly a year prior to the invasion, President Bush and his administration peppered the airwaves with serious accusations against Saddam Hussein, including claims of aluminum tubes that could be used in centrifuges to enrich uranium, and of Iraqi efforts to purchase uranium yellowcake from Africa. The intelligence supporting the claims was either not believed or was highly disputed by the experts. But that did not stop senior government officials from repeating them incessantly; nor did it prevent the powerful neoconservative ideologues who were the war's most fervent supporters from parroting them with menacingly jingoistic passion. The tactics of collective punishment and threats of military action now leveled against Iran are the same as they were ten years ago against Iraq. Every week, the mainstream media peddles new stories of supposedly nefarious Iranian acts, only to be debunked and discredited after these narratives have irreversibly gained traction. “Memories of the failure and tragic mistakes in Iraq are not taken sufficiently seriously,” Hans Blix recently told a group of reporters in Dubai. “In the case of Iraq, there was an attempt made by some states to eradicate weapons of mass destruction that did not exist, and today there is talk of going [to] Iran to eradicate intentions that may not exist. I hope that will not happen,” he said. U.S. and Israeli intelligence estimates, as well as IAEA reports, have routinely reaffirmed such an assessment. Back in September 2003, as it became ever more clear that Iraq had hidden no weapons of mass destruction, Blix condemned the United States and Britain for exploiting "the culture of spin, the culture of hyping" in order to sell their war. "They took away the question marks and put in exclamation points instead," he said the following year. With the recent clamor of rattling sabers by the same cast of characters a decade after the illegal invasion of Iraq, it seems undeniable that those who enabled war crimes in Iraq are eager to repeat themselves. A shorter version of this article was originally posted at Muftah. WA&A is thought provoking, as is this post on the parallel or similarity between the desire to invade Iraq and Iran. Assume the lies and manipulations are true. What are the motivations--- the "why" as you see it? Motivations are often many and rarely mutually exclusive, but usually are the interests behind such pervasive actions. Is there a convergence of interests and if so, what is sought? Why war with Iraq in 1991? Why invade Iraq in 2003? Why try to invade Iran? check out Jeffrey Engel, recently named director of Southern Methodist Univ. center for Presidential History. Basically, Bush 41 warred against Iraq because 1. Cold War was over; 2. in 41's mind, maintaining stability required an enemy; 3. and 3, to seize the moment for Bush to put in place his vision of a New World Order. By waging war on Iraq 1990, Bush took the "imperial pivot." Because he could. And he was determined that Washington be "in charge" of the world. Listen esp at 20 min; 25 min, 38-50 min. Gerry_Kearns_Geopolitics_and_Empire_The_Legacy_of_Halford_Mackinder_Oxford_Geographical_and_Environmental_Studies_2009.pdf , "A Return to Empire,"
especially -- In Sept 2002 George Bush 43 published "The National Security Strategy of the Unites Stats of America (NSS). NSS declared US policy to use war preemptively. Just discovered your blog a few weeks ago. I value it highly. Thank you for this great post.